In order to hold the international education work conference of JUFE in 2019,define the direction of efforts in the coming period, further enhance the level of our university education internationalization and help the construction of double top, Dr. Zhang Yan, director of QS Education Group in China, and Professor Yan Yueqin, director of the Higher Education Research Institute of Southwest Jiaotong University, were invited to dospecial report on March 21. Wang Xiaoping, vice president of JUFE, presided over the presentation. Dr.Jiang Jinfa,vice presidenct, Wang Jinhai, propaganda minister of Party Committee of JUFE,and the heads of other relevant departments, such as president office,personnel department, publicity department,scientific research department, financial department, members of leading group of internationalization , members of advisory committees of experts on internationalization , deputy deans of schools, secretaries on foreign affairs participated the report. Before the meeting, vice president Jiang Jinfa and vice president Wang Xiaoping kindly met with Dr. Zhang Yan and Professor Yan Yueqin,extended a warm welcome to the two experts and thanked them for taking time out of their busy schedules to come to JUFE.It is hoped that under the guidance of the two experts, our school can identify the gap, clarify the direction of efforts, and further improve the level of our school's international education. Dr. Zhang Yan gave a lecture on Construction of Jiangxi University of Finance and Economics as a world class university and discipline: QS viewpoint. 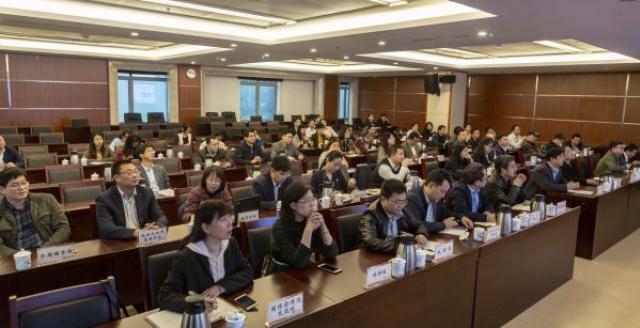 Dr. Zhang introduced in detail the university rankings and discipling rankings carried out by QS Global Education Group worldwide, and interpreted in detail the ranking methods, evaluation index system and respective weights. Based on the actual situation of our school, she analyzed the problems and challenges in the international development of our school, and put forward some specific Suggestions. Professor Yan made a particular description, titiled as university international development evaluation and found on the meaning of the internationalization of university evaluation and influence, the optimization of index system, evaluation method of the present situation and the short.It let us clearly see that under the background of double first-class, the efforts and practices of international education of various universities had clarified the thinking and locked the goal for the international education of our university. 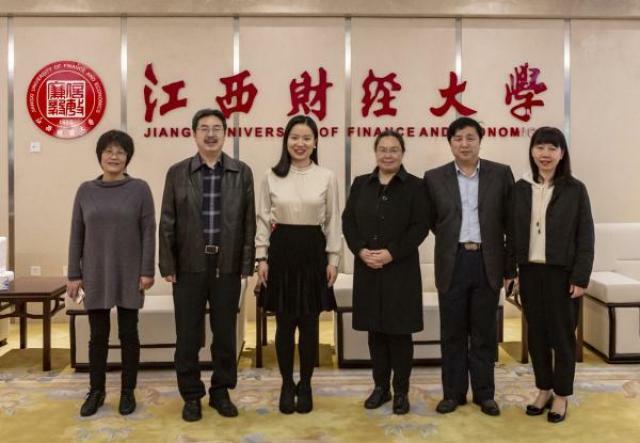 Vice-President Wang Xiaoping pointed out that the reports of the two experts were detailed and informative, which had a strong guiding significance for the internationalization work of our university. He hoped that colleges, scientific research institutions and functional departments could take action to further promote the internationalization work with the sense of urgency and mission of ‘Time will not wait for me’as well as ‘Who but myself can do it’.Therefore We should do the following work well: firstly, we should strengthen the integration of specialties and disciplines in schools, especially the integration of economic disciplines and modern information technology; The second is to introduce relevant systems for international scientific research cooperation, vigorously strengthen international scientific research cooperation, encourage international cooperation to publish papers, cooperate with international organizations, foreign enterprises, and set up sino-foreign joint research institutions. The third is to do a good job in the construction of international teachers.The fourth is to strengthen the construction of English websites, especially the college level English website information and information update; Fifth, we will strengthen the construction of informatizationand other basic infrastructure. 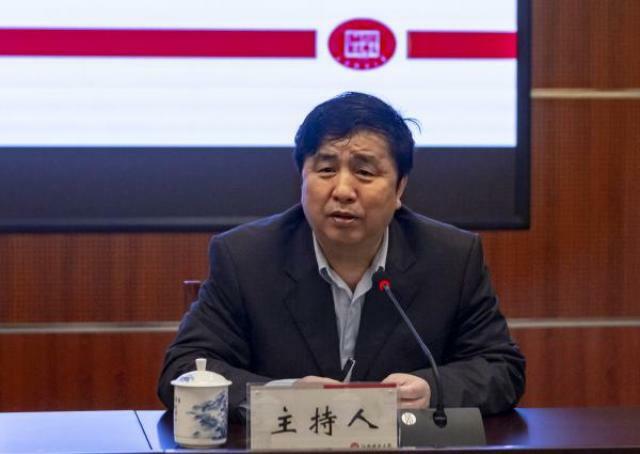 Wang xiaoping, pointed out that the report played an important role on promoting, the further enhance of the level of education internationalization, expanding overseas influence, promoting the construction of double top.JUFE had a long way to go international. All the teachers and students of the university should redouble their efforts to enter the top 500 of Asian universities as soon as possible, and strive to advance to the top 500 of the world through the efforts of several generations or even several decades. Dr. Zhang Yan: As an independent candidate, she was elected the first Chinese-American National Executive Board of the All-British Student Union since 1922. She has made remarkable achievements in the internationalization of British Prime Minister's strategic education. She has been invited to participate in more than 20 international committees. She has long cooperated with the United Nations, the World Bank, Commonwealth countries, the European Union, the Fulbright Commission of the United States, the British Government (Department for Education, Office of Government Commerce, Her Majesty's Treasury, Home Office, Foreign & Commonwealth Office), Successfully lobbied and influenced the policies of four British prime ministers on the internationalization of British Education.At the invitation of the British shadow minister, she worked in the UK Parliament to provide the minister with comprehensive and in-depth research, analysis, planning and suggestions on policies to promote the prosperity of the British business economy. 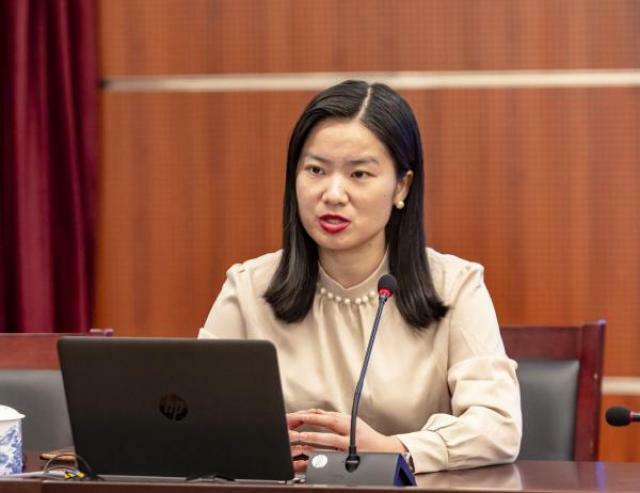 She also assisted the minister in working with British political and business leaders to formulate the UK Global Business Strategy 2020 to promote the prosperity of the British economy.She joined QS Global Education Group in 2013 to lead China's strategy. In 2017, Hong Kong Chief Executive Lin ZhengYue-e was sworn in, citing two QS rankings as Top 100 Universities in the World and No. 1 Dental College of the University of Hong Kong to prove Prove 20 Years'Educational Achievements of Returning to China . In the latest round of the Ministry of Education's selection of world-class universities and first-class disciplines, entering the top 50 of QS world disciplines ranking is an important reference index, which also affects the allocation of education funds by the Chinese government. In February 2018, she was invited by British Prime Minister Theresa May to attended the annual Chinese New Year reception at 10 Downing Street with the Chinese Ambassador to Britain and other leaders. Professor Yan Yueqin: Ph.D. in Higher Education, Xiamen University. 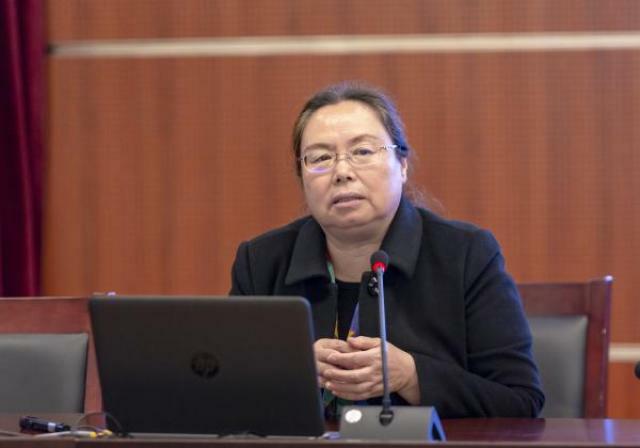 She is currently the Director of the Institute of Higher Education of Southwest Jiaotong University, the Executive Editor of the Journal Social Science Edition and the Executive Director of the Research Center of International Academic Organizations.For a long time, he has been engaged in the research of higher education management and international academic organizations, and the ranking of university internationalization level, which has been published six times in succession, has been highly valued and supported by the competent departments of national education, foreign affairs, science and technology, mainstream media and institutions of higher learning.The research achievements of International academic organizations under her chair have been highly recognized by the competent departments of national science and technology, and have been heavily valued by government departments for many times.She has been awarded excellent editor-in-chief of National University journals, excellent educational researchers at provincial level and outstanding communists for many times. Over the years, more than 40 papers have been published, more than 20 research projects at or above the provincial and ministerial levels have been presided over, and 5 monographs have been published.